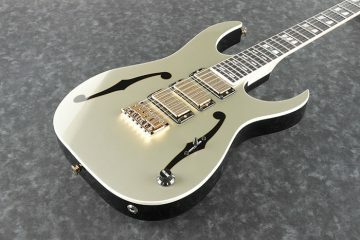 Ibanez RGDIX7MPB Review – Bevels Anyone? Wired Guitarist is proud to bring you our third Iron Label review! I think it’s really important that these get coverage because they’ve become an important staple of Ibanez’s lineup, and are widely discussed in the community. Few models have caused as much commotion in recent years as the RGDIX7MPB. This model sees the return of a beloved and highly functional shape debuting as an Iron Label with specifications borrowed from many hot and trendy boutique designs and finished off with a lot of bevels. I love 26.5” scale, especially for 7s. It’s the perfect mix of clarity and playability, and I love that baritone punch and snap. The Gotoh locking tuners are great, and as always, the Gibraltar 2 is comfortable, durable, and has great sustain. Broken record alert: All Access Neck Joints (AANJ) are always awesome. The Nitro-Wizard profile is really popular right now and is suitable to many players that like necks on the thin side. 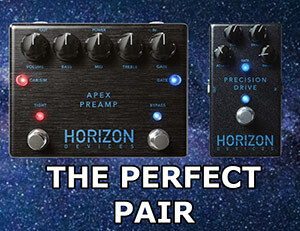 It’s even more at home on a 7 where a lot of popular techniques such as tapping and fast single note patterns benefit from the thin and flat neck. The aesthetic is definitely unique. Natural colored bodies with colored trans tops are very popular right now, as are poplar burl tops. Personally I’ve always thought color schemes like this looked a little disjointed, but they fly off the shelves. It’s a definite love or hate thing; all subjective. I will say that the wonderful birdseye boards on these will be appreciated by everyone. The more maple boards on Ibanez the better, and with figuring, no less! I spoke in great detail on the Dimarzio Fusion Edge pickups in my RGAIX6FM review. The short version is that they’re astounding. 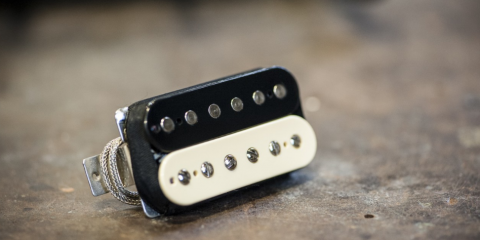 The pickups themselves sound great and well defined with a lot of cut for all genres, and the fact that Ibanez and Dimarzio partnered like this is emblematic of Ibanez taking cues from their early glory days and listening to their fans. I’m going to focus on how they sound in this specific guitar and how they’re affected by the construction here. Between the bolt on maple neck construction, the swamp ash body, and baritone scale, this guitar is basically as clear and well defined as you can possibly get. 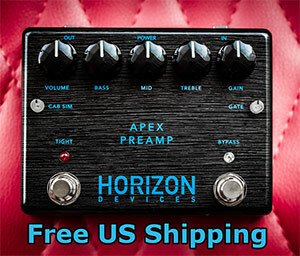 This is great for prog and metal guitarists, as well as anyone who likes snappy cleans. This model doesn’t have any coil splitting available, but I think it’s because the guitar is already so punchy by design. The neck pickup gains a lot of chime and attack from the woods and scale, so I personally couldn’t even imagine splitting it in this axe. The middle position actually has a fair amount of punch to it as well for crunch tones because of this. Who knows, if I buy one I may wire it up with a push/pull and see how I like it. We’ve already spoke on the history of the Iron Label line, so I want to focus on this guitar. 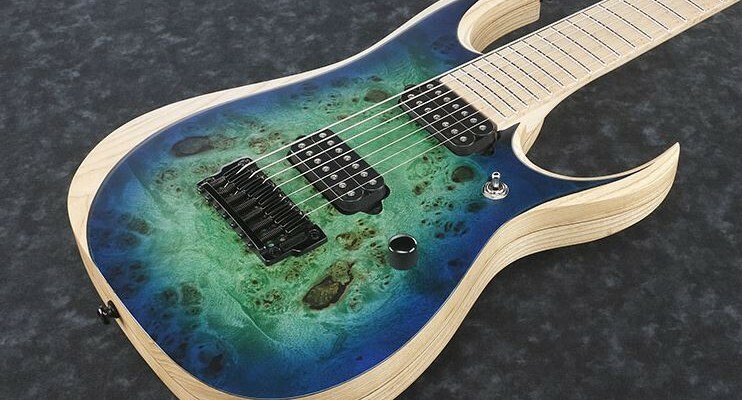 You can read more on that in our multiscale Ibanez review here, though, if you like. This specific model seemed a bit rushed when it first came off the assembly line. There were some not great examples of this guitar floating around at NAMM. I had almost written off the model as a whole, but the ones I’ve been playing recently are much better. This is also a good time to point out that this is a bit of a non-issue at the Wired Guitarist store, because we send back any flawed guitars we receive from brands, up to 40% of our stock in one instance. We know our customers have high standards, and simply don’t accept anything less than excellent. You don’t have to worry about a lemon, even of a model with a storied history. Again, the one I played for this review and others I’ve played recently are MUCH better. As with any guitars offering this many features at this price point, there are small aesthetic issues, but I want to get right to the one thing about this guitar that has me really conflicted: the layered ash body. The body is made up of 6 individual pieces of ash. I really don’t expect to see this on natural finish guitars. It looks fine, but sort of leaves a bad taste in my mouth. To tell the truth, the real reason I’m upset about it is that it sounds good. I would have loved to tear this guitar to shreds in this review, and I’m still not necessarily happy about it…. but it sounds really good. Really, really good. 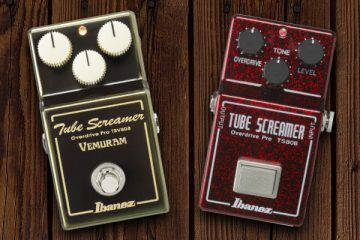 So kudos to Ibanez for making that work, and maybe they are on to something. The RGDIX7MPB is for contemporary players looking for the utmost clarity in their tones. People looking for an aesthetic outside the mainstream, or something similar to a radical boutique design on a budget, will be very happy with this guitar as well. All of this is achieved while maintaining the soul of the long-beloved Ibanez RGD. 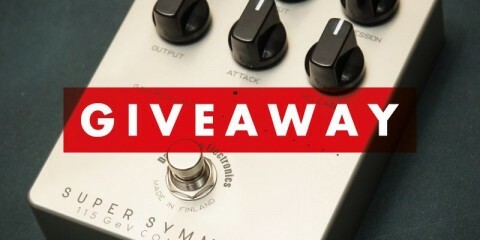 Overall, this guitar is a rugged workhorse with great hardware and electronics, and a great way to get an aggressive shape and baritone scale for under a thousand dollars. If you’re looking for an Ibanez, we are fully authorized dealers, and to top things off, you are guaranteed only the best when you buy from us because we send anything back that doesn’t meet our strict quality standards!